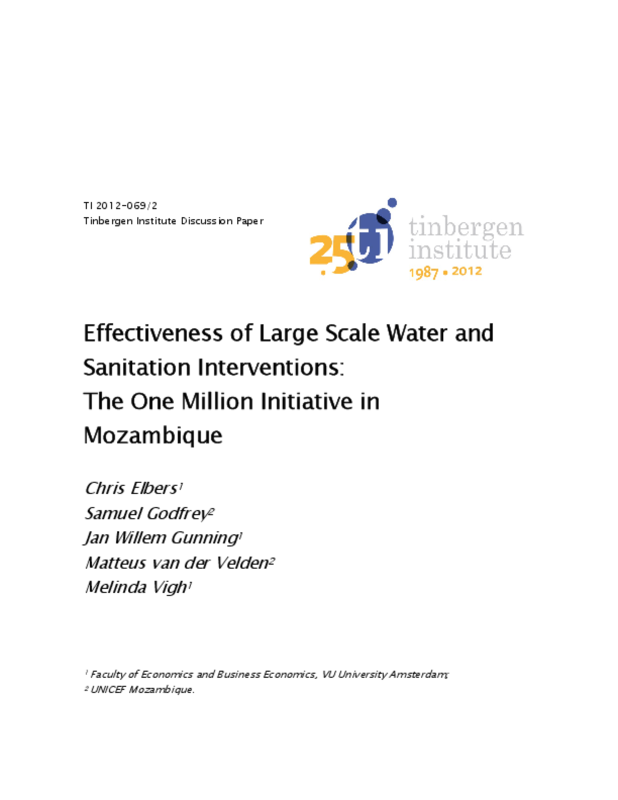 The One Million Initiative aims for 70% of the population using safe drinking water and 50% using improved sanitation in 18 districts in three provinces of central Mozambique. This paper evaluates health effects of the initiative using a panel survey, analyzing the contributions of latrine ownership, hand washing, and use of improved water sources to health. It is unique in providing rigorous evaluation of such a large scale WASH program. The authors find a large impact of CLTS on adults and older children, and a similar impact in improved water sources on health of young children.